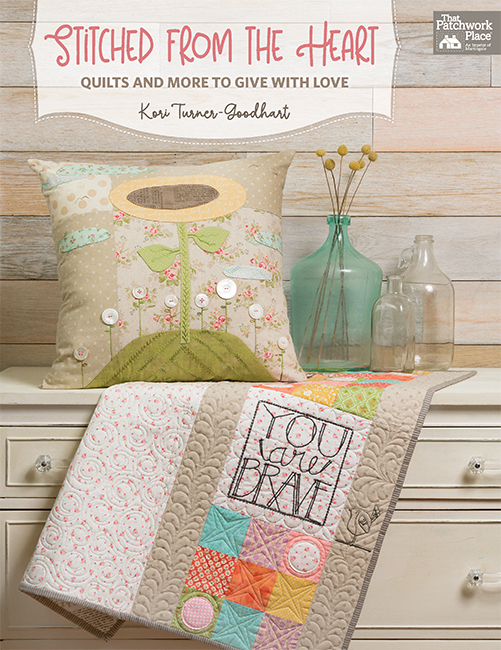 Are you a crossover crafter? 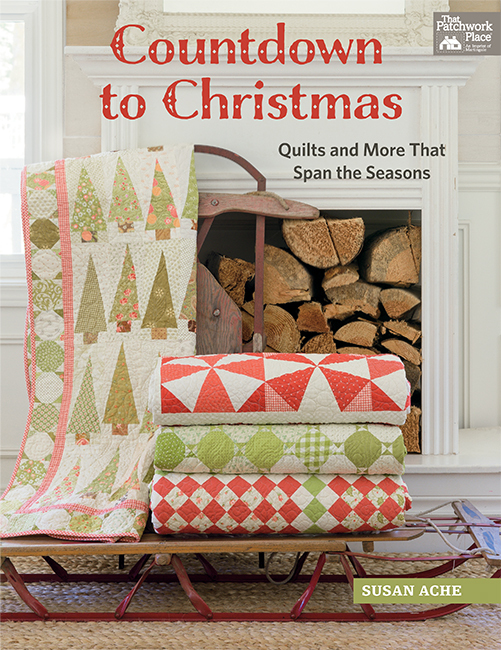 Many of us at Martingale do more than just quilt! Crochet is one of those crafts that calls out to us—it’s easy to learn, you don’t need much in the way of supplies, and you can take your work with you anywhere. Never crocheted before, but always wanted to give it a try? Or maybe you just need to brush up on the basics. Either way, you’re in luck! 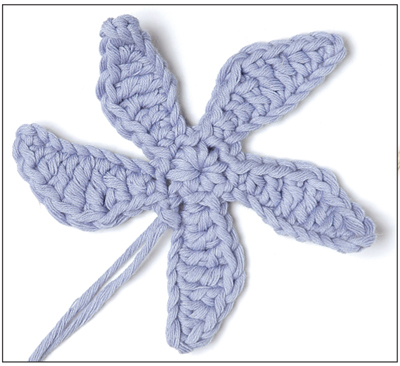 Not only do we have four FREE eBooklets that you can download on the topic—we’ve also got a simple star-flower pattern below that you can crochet today! This cute pattern comes from A to Z of Crochet, a best-selling book that’s taught tens of thousands of beginning crocheters. 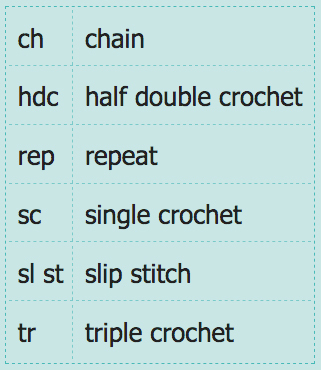 From supplies and tools to beginning stitches and beyond, A to Z of Crochet will set you on the path to becoming a crossover crocheter. Plus, it includes more than 1,000 photos of real hands holding real yarn. The photos make learning so easy. Now—it’s time to make a crocheted flower of your own! All you need is a crochet hook and a small amount of yarn (this easy crochet flower pattern is a fast, fun way to use up leftover yarn). 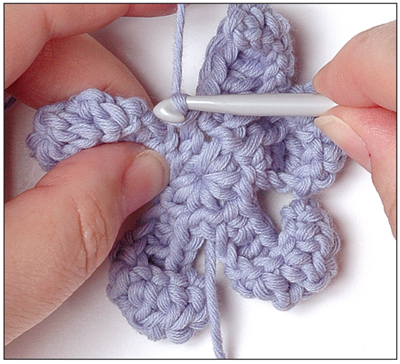 Learn how to crochet a simple flower in the tutorial below; then have fun embellishing hats, sweaters, bags, and more with your blooms. Begin with a slipknot and work three chains. Join the chains into a ring by working a sl st through the first ch. Taking the hook through the ring, work a sc, then work ten chains. Work a sc into the third ch from the hook. Work a hdc into the next ch, a dc into the next ch, a tr into each of the next two chs, a dc into the next ch, a hdc into the next chain, and a sc into the last ch. Rep steps 2–4 four more times. You will have five petals. Work a sl st into the very first sc that you worked. 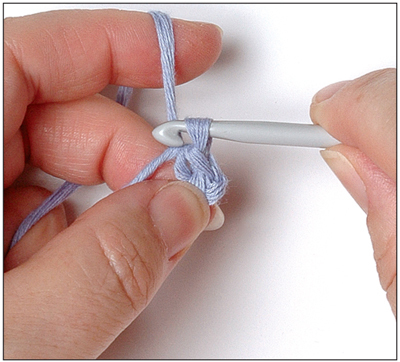 Fasten off the yarn but do not trim the tails; these can be used to attach the flower. 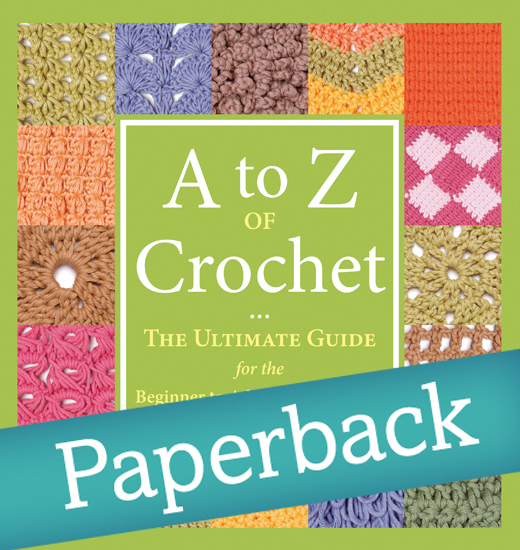 Get your copy of A to Z of Crochet to start your crossover-crafting adventure—less than 20 bucks and you’ll be on your way! 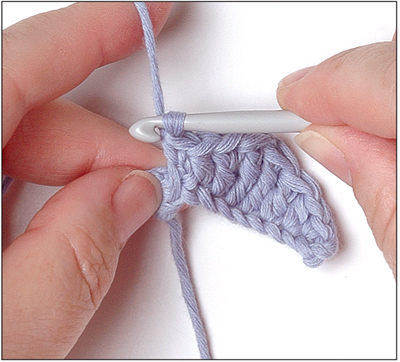 What kinds of crossover crafts do you enjoy: crocheting, knitting, punchneedle, clothes sewing? Tell us in the comments! 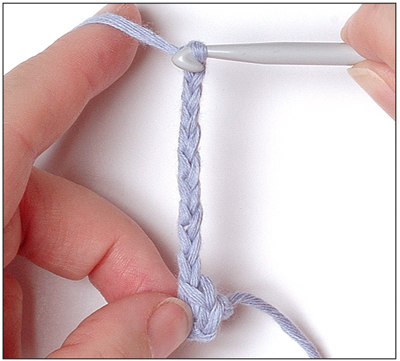 Learn how to crochet right now! 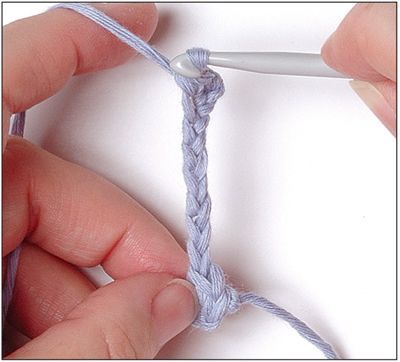 I have been trying to learn to crochet, but so far have not been successful with watching tutorials, etc. Would love to have this book since the reviews say that the pictures are so good to follow. I’ve done lots of things craft-wise in my lifetime: crewel, macramé, knitting, crocheting, liquid embroidery, sewing (garments and home dec), cross stitch, counted cross stitch, embroidery and quilting. Always looking for new ideas to use my talents (and materials!). I love to machine embroider, but I do some by hand. I also crochet, knit, and make clothes. I used to make all my clothes but not it is cheaper just to buy them and that cut into my quilt making time. I enjoy knitting, crochet, cross stitch, sewing, quilting,drawing and painting,paper crafts, and jewelry making. The drawback to having so many hobbies is the amount of space all the this takes up in my home. I love to do hand embroidery. I also crochet. I have made home dec items as well as some clothing. Thanks for the opportunity. I’m a spinner (of wool), a weaver, a quilter, a seamstress, a bullet journal enthusiast; I love to crochet, and I belong to a medieval group (and do a myriad of other associated medieval crafts!). Like the others, I have dabbled in many needlecrafts. Besides quilting, I knit almost every day. 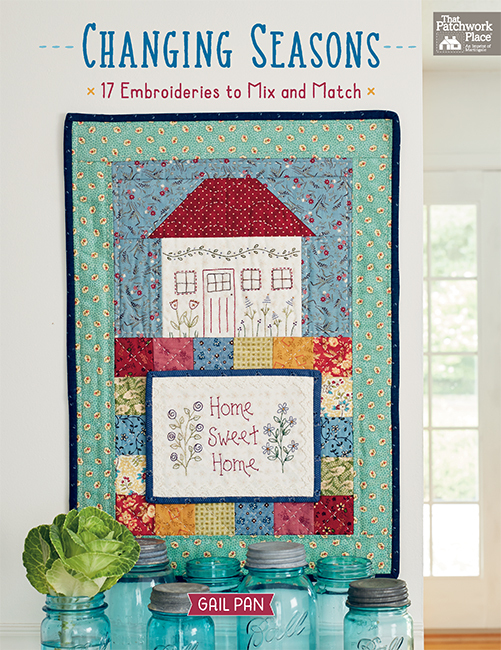 I also enjoy cross-stitch and other forms of embroidery including needlepoint. Then there’s also crochet, sewing pillows and curtains, making boxes, decoupage, drawing, and painting. I like to hand embroider and have done both knitting and crocheting in my youth -but that was years ago. Quilting, in its various forms,remains my prime focus now. I’m pretty much addicted to quilting and don’t really make time for anything else. I do enjoy adding beading to my quilts. I can embroider and do needlepoint, but wish I could crochet. My great tried teaching me once while visiting, but once she left to go home, there was no one to show me. And I couldn’t keep it going. In addition to quilting, I love doing hand embroidery! I have done some crocheting and wish I could knit. Would like to be able to follow a pattern better with crocheting. That is where I struggle! I crocheted for many years. Learned when I was 9…taught by my Grammie whom I miss dearly. Some knitting; and also cross stitch. Did macrame and plastic canvas needlepoint when the kids were little. I love cross stitch and embroidery. I have never seen this book before, but it sounds wonderful.